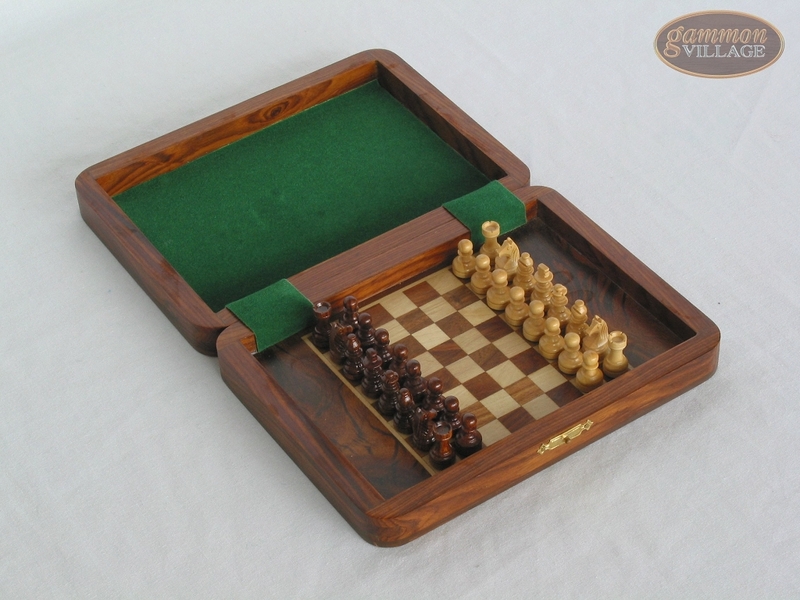 The small magnetic board and chess men are enclosed in a slightly larger wooden box. The pieces can be stored right on the board--they do not need to be removed. The chess men are made of wood and have magnetic bases. They stick firmly to the magnetic board, so this game can be played in the back seat of a car, on a boat, or anywhere you don't want the pieces to be lost. The wooden box can be closed for storage with a small brass clasp. Page P1051 Copyright © 1999-2019 GammonVillage Inc., USA. All rights reserved.